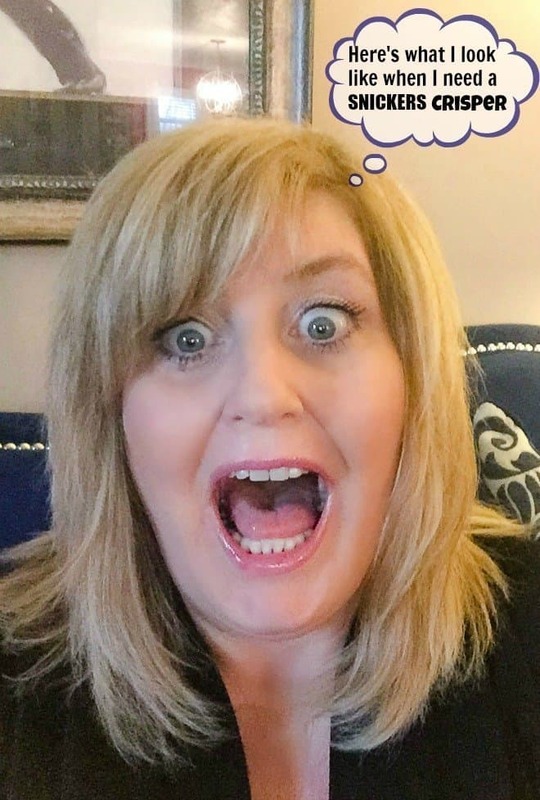 This is a sponsored post for SheSpeaks/MARS. All opinions of my Favorite 100 Calorie Snack are my own. 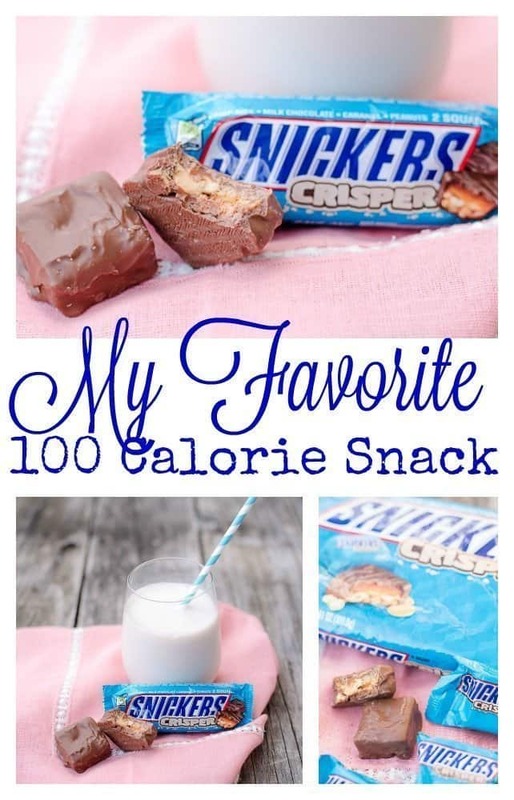 I’ve got a favorite 100 calorie snack that you’re gonna love! Yep, only 100 calories! Do you ever have to apologize for what you said when you were hungry? Do you ever get hangry (hungry + angry)? You know the feeling I’m talking about. When you ate that tiny salad for lunch and skipped breakfast all together. It’s now 3:00 PM, you’ve got a gazillion things to do, your phone won’t shut up and you’re facing three major deadlines. You’re hangry. You need a SNICKERS® Crisper. Here’s a selfie I took to prove how I look when I’m hangry and have deadlines looming large on the horizon! It’s not pretty! SNICKERS has always been my snack of choice. Just ask my high school friends. They’ll tell you. I’ve always been a SNICKERS kind of girl. It was the perfect snack to get me through the day. Now that I’m all grown up (that’s debatable), I like a little crunch with my chocolate. That’s why I fell hard for SNICKERS Crisper. It’s a delicious combination of crisped rice and peanuts topped with a layer of caramel and coated in creamy SNICKERS Brand milk chocolate. Be still my chocolate loving heart! 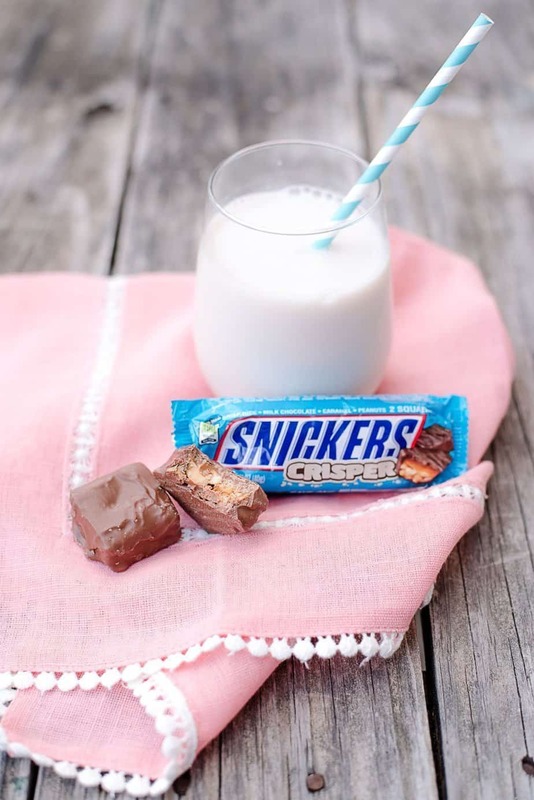 A SNICKERS Crisper and a cold glass of almond milk is the perfect afternoon fix when I need to walk away from the home office. Now that the weather has warmed up, I head outside for some fresh air and my favorite snack. I don’t have to feel guilty at all AND I get my chocolate fix for the day. What could be better? The second best part about SNICKERS Crisper? The singles packs feature two pieces, each with 100 calories, allowing for a snack for now and another for later. And the fun size is only 100 calories each! 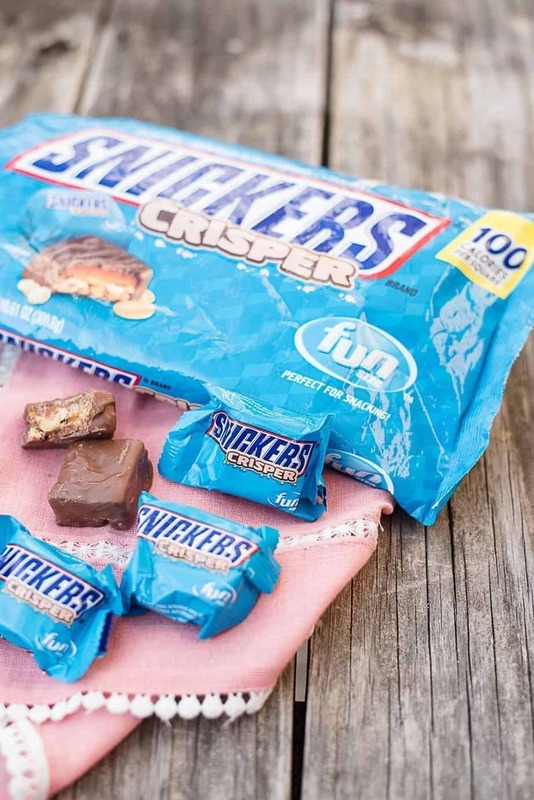 You can find SNICKERS Crisper at Walmart stores and online at Walmart.com. They come in the following sizes: SNICKERS Crisper Single, SNICKERS Crisper 4 to Go and SNICKERS Crisper Medium FUN SIZE Bag (12 count). How do you look when you’re hangry? Yes! When I’m snacking I want the real deal. Only 100 calories is an extra bonus that I’ll take any day. There is no shame in my game! 🙂 Happy Easter! I really like Snickers for a quick treat. 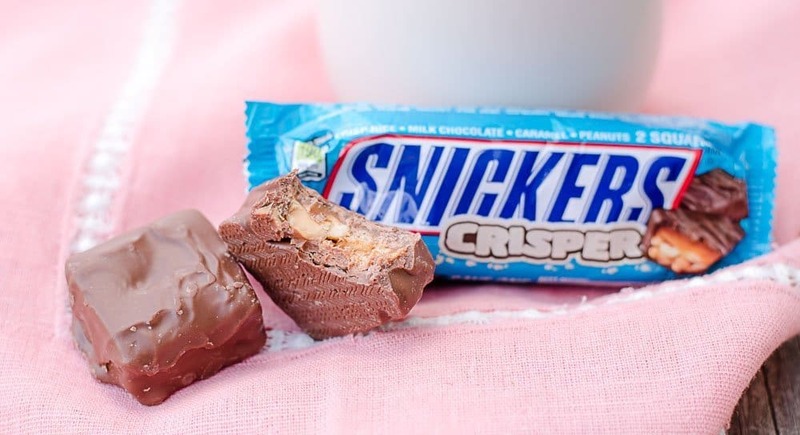 I don’t think I have tried the Crispers but I love regular Snickers so I am sure I would like these too. Will definitely be looking for the Snickers Crisper! I know! It makes eating one (or two) guilt free! I would love to have snickers too. This one is less guilt as it’s only 100 calories. It’s instant energy without having too much calories. These sound brilliant but I have a horrible feeling they aren’t available here in the UK. Come on Snickers. Sort it out! Ship some over here. I definitely need to try these. They look really good. I wouldn’t mind having some for emergency afternoon snacks! I love snacks like this that have only 100 calories. It’s a great way to keep track of the calories you’re consuming in one day. And snickers is such a favorite, tasty snack! I have a sweet tooth as well and it usually hits around 3pm each day. Love that its only 100 calories that is the best part plus the crisp in it. I love Snickers too and they have been my favorite snack since I was in college and needed a study break. I’m glad there is a bar with only 100 calories now as I’m trying to cut back. 100 calorie snacks can be very convenient. Some days I am better than others at eating only one. Those are so good! I love them too. I’d eat that whether I was hangry or not! yum! I love Snickers! My favorite brand of candy to have around the house. Gotta try these snack packs. Yum. I’ve never seen those particular snickers here in Canada. I need to keep my eyes peeled. My problem is I can never just eat 1 fun size.. I need like 10 haha! I am hangry right now and my boyfriend is about to get the brunt of it. Lol. He knows the struggle though. As I sit here eating an apple I’m dreaming of chocolate. Bring on the snack-sized Snickers. Especially at 100 calories. I love Snickers! I’m definitely going to have to try this product looks so good with the Almomd milk. They look really good and definitely I need to try these!! Thanks for your review! !